What Is Engineering Design and Development? - About the CourseEngineering Design and Development (EDD) is the capstone course in the PLTW high school engineering program. It is an open-ended engineering research course in which students work in teams to design and develop an original solution to a well-defined and justified open-ended problem by applying an engineering design process. Students will perform research to select, define, and justify a problem. After carefully defining the design requirements and creating multiple solution approaches, teams of students select an approach, create, and test their solution prototype. Student teams will present and defend their original solution to an outside panel. While progressing through the engineering design process, students will work closely with experts and will continually hone their organizational, communication and interpersonal skills, their creative and problem solving abilities, and their understanding of the design process. Engineering Design and Development is a high school level course that is appropriate for 12th-grade students. Because the projects on which students work can vary with student interest and the curriculum focuses on problem solving, EDD is appropriate for students who are interested in any technical career path. Because it requires application of the knowledge and skills introduced during the PLTW foundation courses, EDD should be taken as the final capstone PLTW course. Due to the open-ended nature of the capstone design course, Engineering Design and Development does not follow the Activity, Project, Problem format of the other Engineering pathway courses. 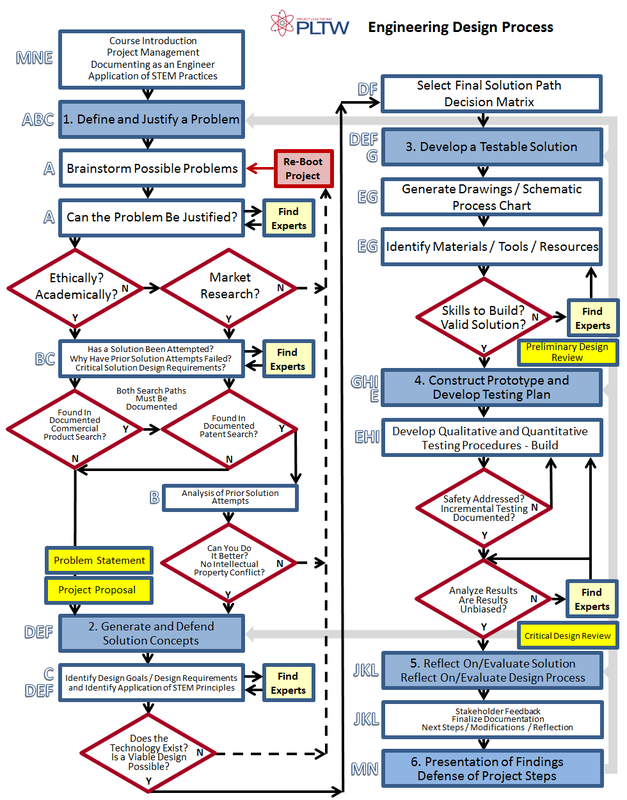 Because the course is essentially “one large problem to solve” over the entire length of the course, Engineering Design and Development is aligned to the Engineering Design Process Portfolio Scoring Rubric (EDPPSR) assessment tool. The course follows the component and element format of the EDPPSR to help students make the connection to the assessment tool.